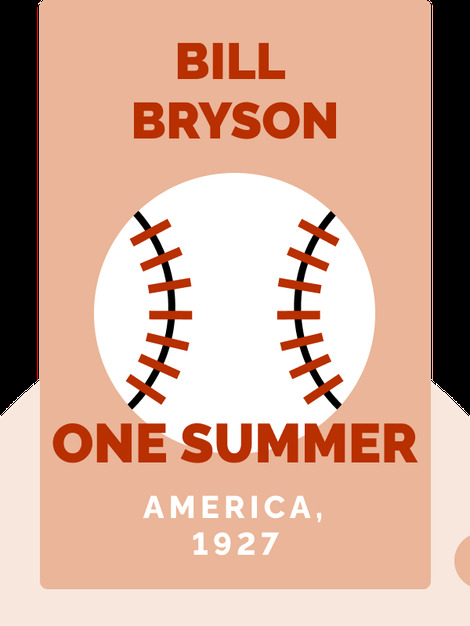 One Summer (2013) tells the story of the summer of 1927, a particularly pivotal three months in American history. The summer of 1927 marked the emergence of the United States as a major power on the international scene and set the stage for the Great Depression of the ‘30s. 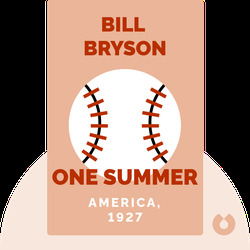 One Summer takes a closer look at a number of 1927’s important events, such as Charles Lindbergh’s famous flight across the Atlantic Ocean, Babe Ruth’s recording-breaking 60 home runs in a season and the execution of Italian anarchists Sacco and Vanzetti. Bill Bryson is the best-selling author of over a dozen books, including The Mother Tongue, Notes From a Small Island and A Short History of Nearly Everything, which won the 2004 Aventis Prize.